At TheAcademicPapers.co.uk, We Take Pride in Providing Top-quality Academic Assistance. 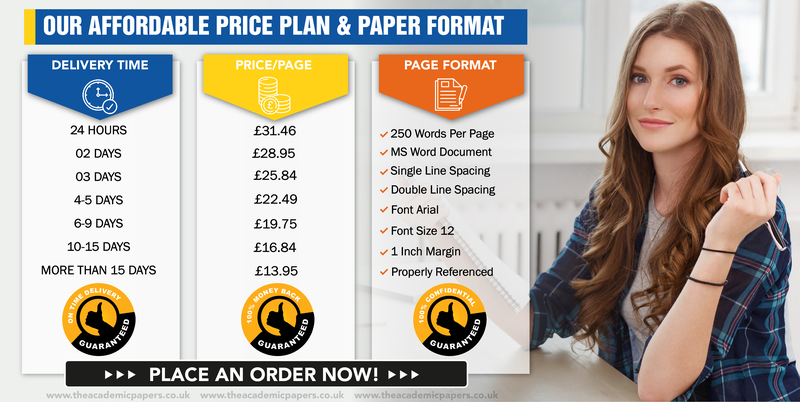 If you require significant alterations to the original order, we will charge a rewriting fee that is calculated on the complexity of the task. Contact our operators for an estimate. If you request a revision 7 days after an order is approved, you will have to place a new order using the editing/rewriting service. For orders with the Progressive Delivery feature (most frequently full Thesis or Dissertation orders) the deadline for a revision request is limited to 21 days after initial approval. Please note that we hold the rights to extend the deadline for revision as per the writer’s request in cases when the time frame you have initially paid for allows such extension. Terms and conditions applied.